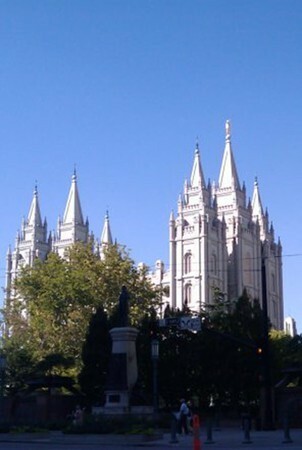 A rally in protest of the Church of Jesus Christ of Latter-day Saints' declaration on forbidding most children of gay parents from partaking in church ceremonies and activities is taking place Saturday at the State Capitol. The event is the latest in a string of protests over the church's stand, which became public two weeks ago and has infuriated members of the church as well as equal-rights advocates. But organizers expect the general tone of Saturday's event to remain positive. The events kick off at 11 a.m., inside the Capitol, with the Utah Faith Fair. Organizations both religious and non-religious, as well as mental-health support groups, will be on hand. Then, at noon, on the south steps of the Capitol, speakers will address the crowd. And at 1:45 p.m., protesters plan to walk two blocks south toward LDS Church headquarters, where they'll circle the block. "Hearing that you are different and that it is somehow bad can take a toll on a person's well-being," said Tim VanZeben, an organizer of the Utah Faith Fair, stated. "Whether you are religious or not, this fair will show people that they don't have to belong to an organization that doesn't support them. Utah is home to many accepting communities."